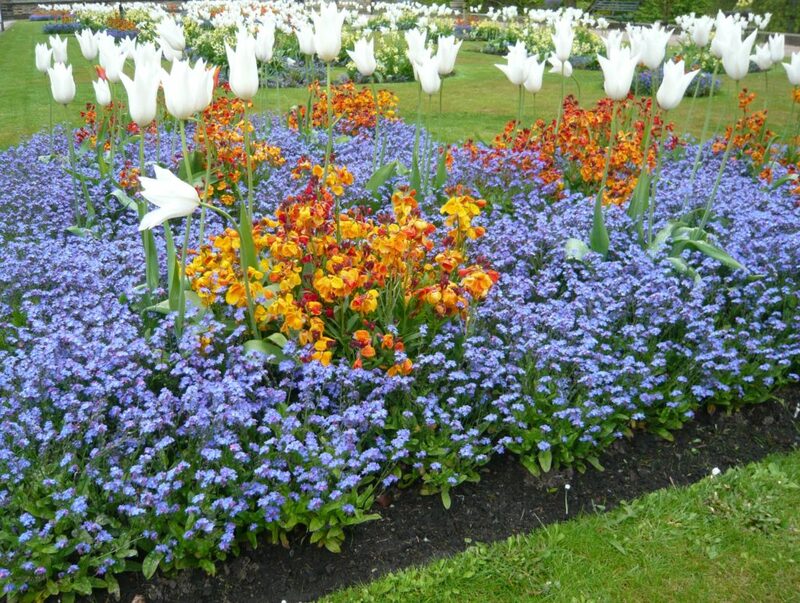 It is still be very cold and dank in some parts of the UK but the flowers hint that spring has finally sprung. It has been a stuttering start for 2018 and the ground is still fearfully wet and therefore very cold. Star performers so far this year have been Helebores that have taken all the snow and cold that could be thrown at them and still come out well. The Primula family have produce strong colour and my Drumstick primulas in 3 distinct colours have been reconsigned into a ‘Den Den’ to produce showy blooms close together. (Primula denticulata give rise to the new named zone). Unlike previous years the daffodils in pots have done better than those in open ground. 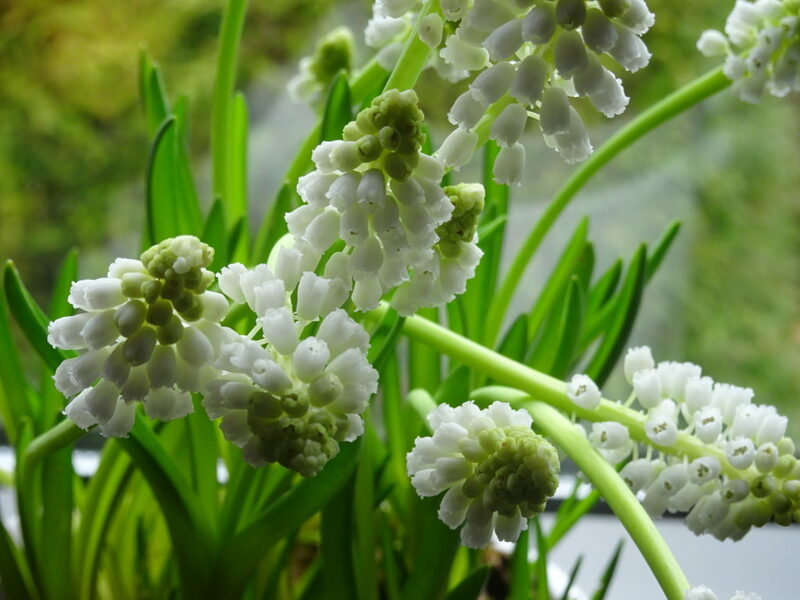 More effort has gone into plants kept in the house as these white Muscari show. I have planted these back out into a white zone within the garden to add to the special daffodils next year. I have had mixed success with bought mothers day houseplants like roses (No I tell a lie they were a great disappointment and a waste of the kids money).